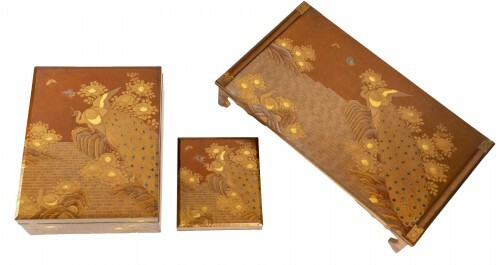 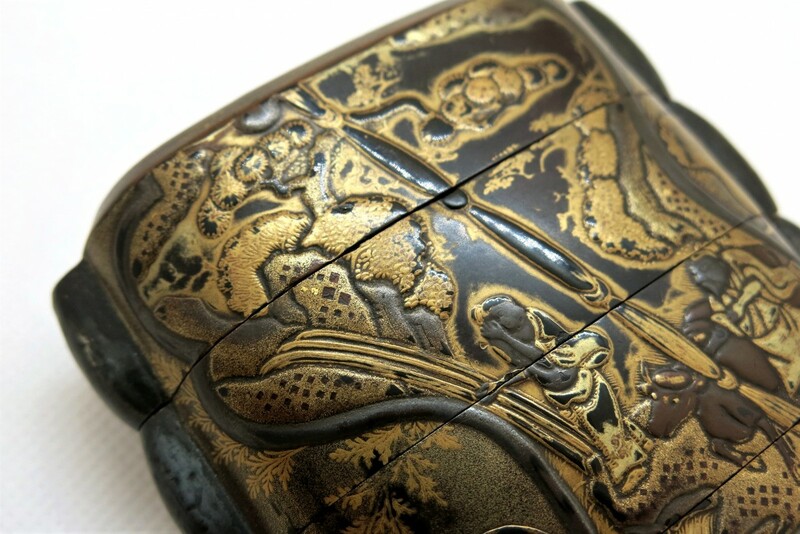 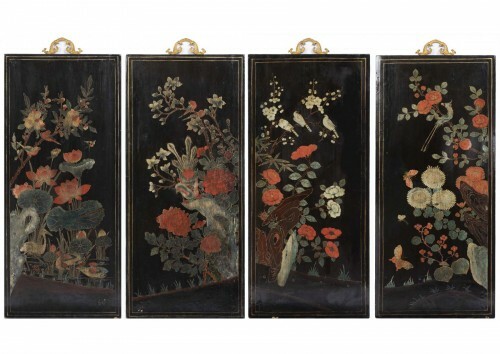 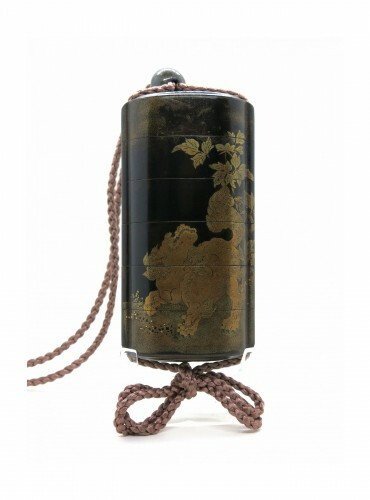 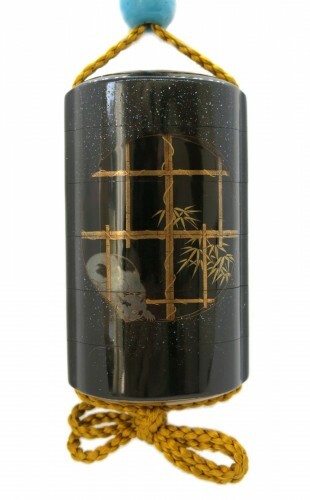 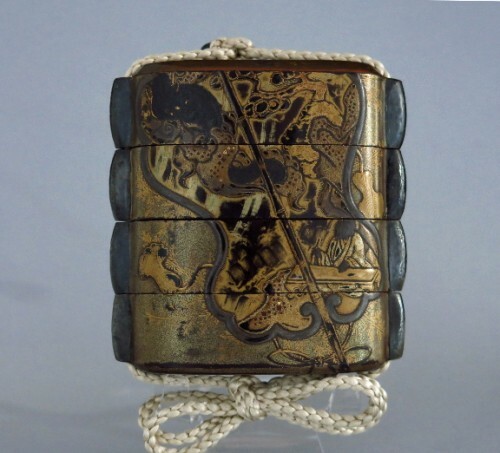 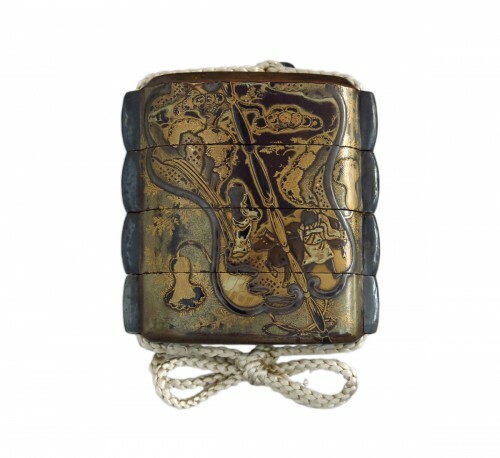 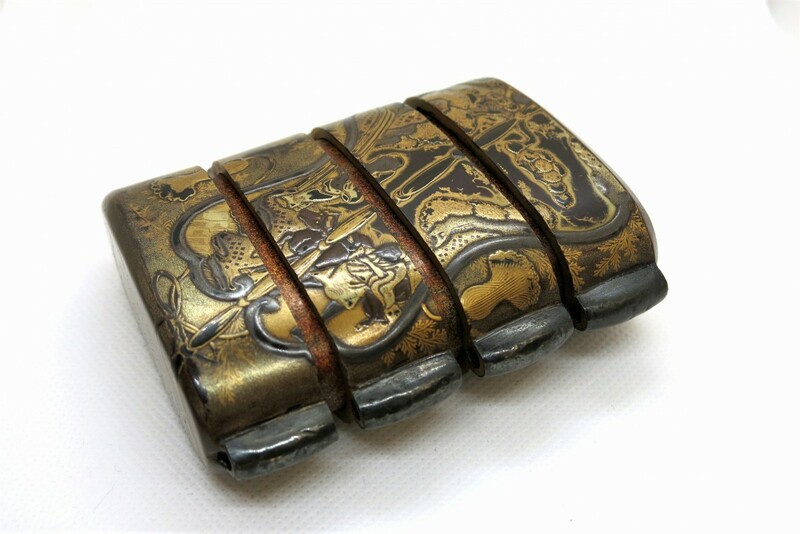 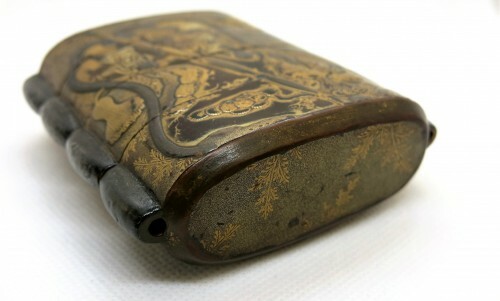 Inro japanese black and gold Urushi lacquer, with 3 cases. 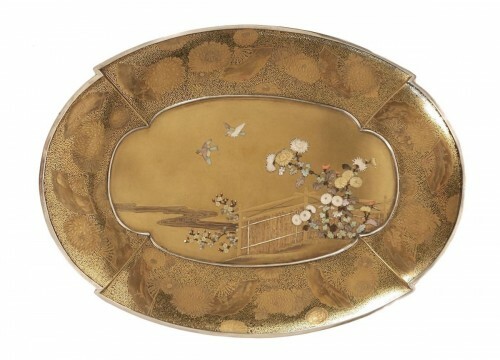 A large model of an Inro showing on the front and back, a fan Uchiwa with dragon, clouds, and chinese characters in gold and silver Maki-e. 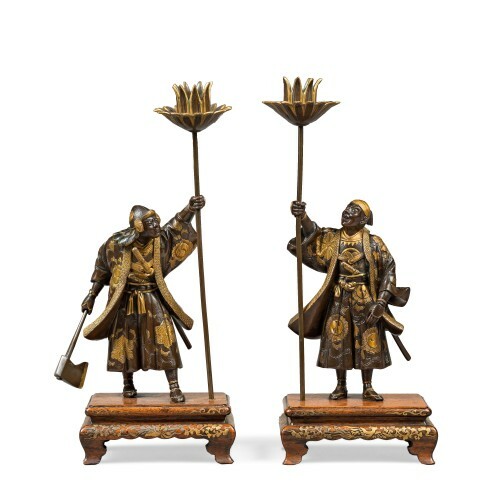 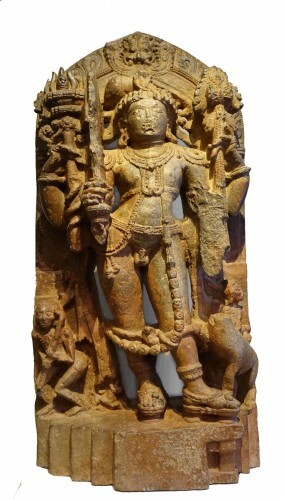 Height : 3.1 in. 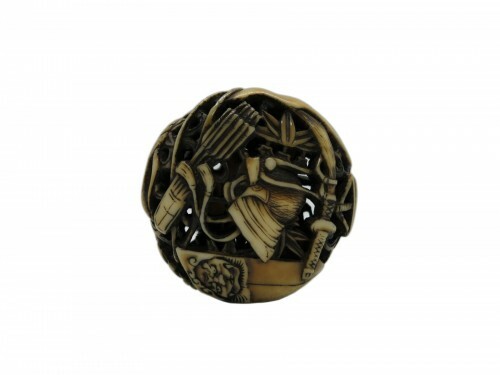 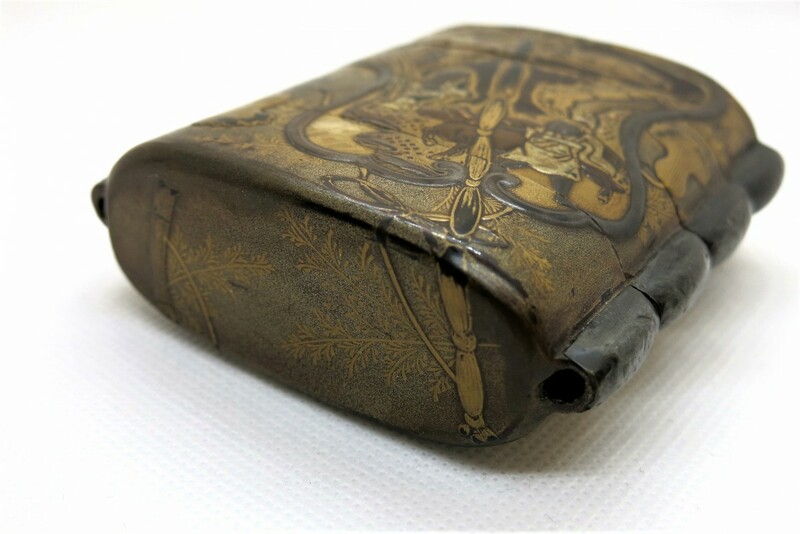 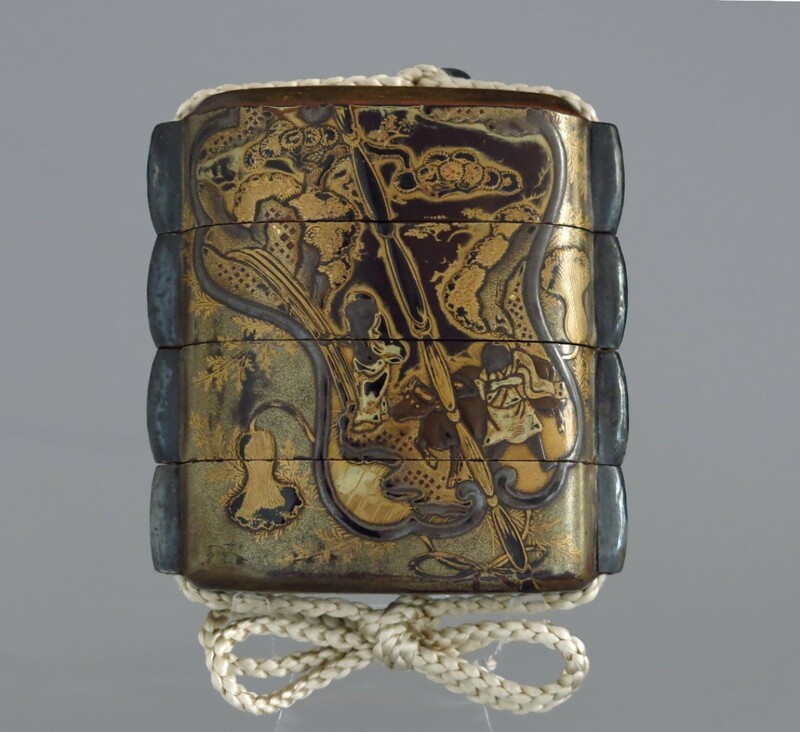 A metal Ojime engraved with foliages. 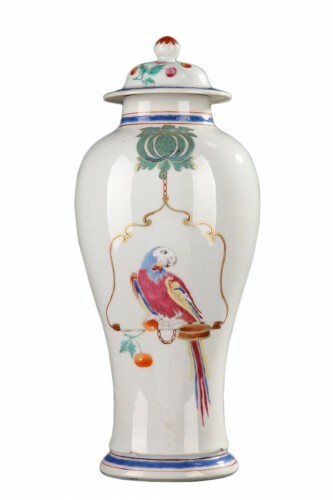 Inside of Nashiji lacquer. 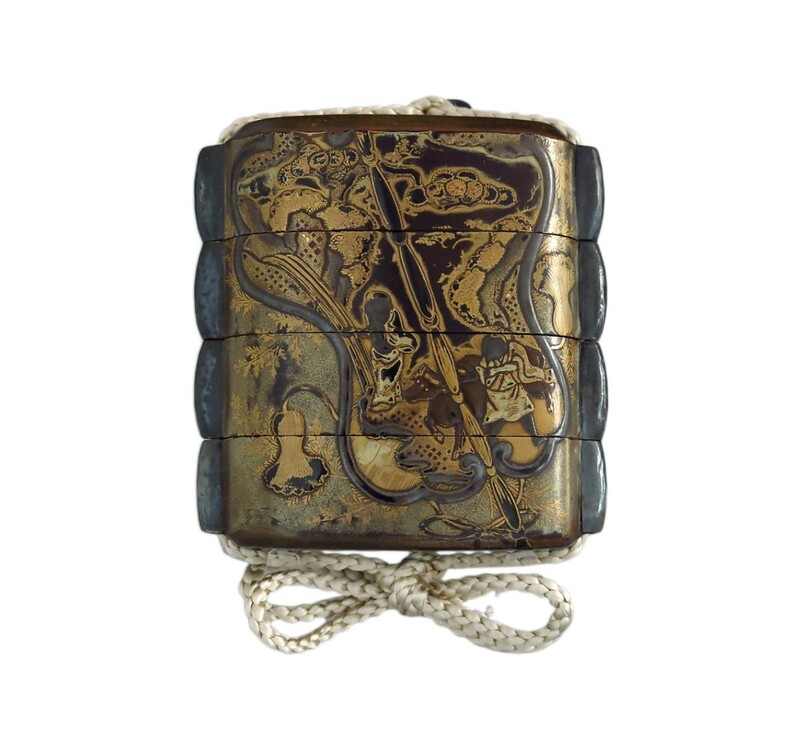 Japon Edo (1603-1868) end of 17th, early 18th century.